There are a lot of misconceptions when it comes to coffee and caffeine. I often get asked if it is okay to drink coffee when dieting or trying to eat healthier. The truth is that there are a lot of benefits to coffee and caffeine, and although you might think you should avoid it at all costs, it doesn’t have to be that way! 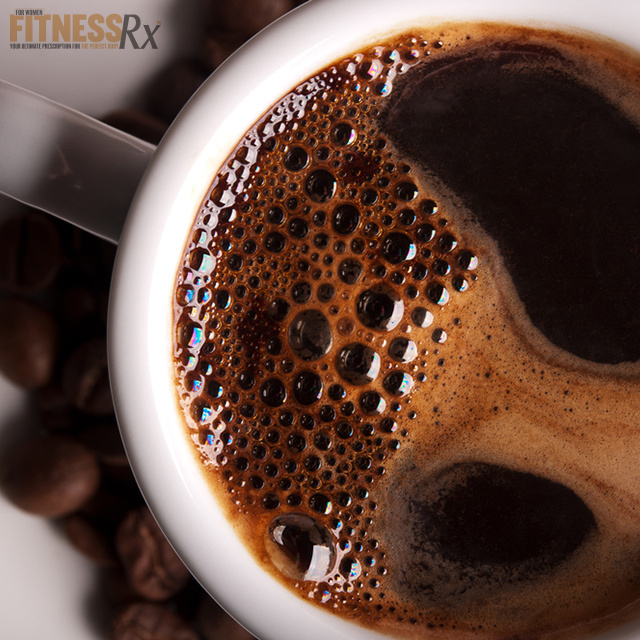 Even if you are cutting back on the coffee, many supplements contain caffeine including fat burners and pre-workouts. You are probably already aware that caffeine is a stimulant that can give you an energizing boost, but there’s actually a lot more reasons to keep using this supplement or drinking America’s favorite beverage! Here are 10 reasons to consider. Caffeine can increase cognitive function by blocking certain compounds that can slow down brain activity at the adenosine receptors. Research has shown that when caffeine was administered, the activity of prefrontal lobe of the brain increases. This leads to improved focus, concentration, and alertness. In one study, Navy Seals given caffeine equivalent to 1 or 2 cups of coffee after sleep deprivation and continuous exposure to stressors showed improved reaction time, memory and alertness as well as reduced fatigue and sleepiness. Caffeine can be found in many pre-workouts for good reason—not only does it improve energy levels and enhance focus for the task at hand, it also improves performance. Caffeine consumption during exercise causes less reliance on glycogen—muscle’s primary source of energy—and increases the mobilization of free fatty acids for use as fuel instead. Research has shown that following the ingestion of caffeine by cycling athletes, the process of glycogenolysis, or glycogen breakdown, was decreased while fat oxidation increased. By providing the body with more fuel, the result is longer workout performance and decreased time to fatigue. Although both coffee and caffeine anhydrous supplementation prior to exercise can cause this effect, the anhydrous form—the one found in your pre-workouts—is more effective! Research has also demonstrated that caffeine may result in alterations of neuromuscular function and/or skeletal muscular contraction. Research indicated a moderate dose of caffeine significantly enhanced both isometric leg extension strength as well as time to fatigue during leg extension performance. Caffeine supplementation has also been shown to increase work capacity, allowing trained athletes to run 2 to 3 km more. Further research on the effects of caffeine in strength-power sports or activities suggests that supplementation may help trained strength and power athletes as well as those who train for high-intensity exercise of prolonged duration such as hockey or soccer. One thing that should be noted is that the enhancement in performance is specific to athletes and caffeine tolerance. In addition to improving performance by providing the muscles with more fuel for burning, caffeine consumption can also work as a mild analgesic, so you can workout longer before you begin feel sore or decrease your workout performance. Caffeine consumption can significantly increase plasma levels of beta-endorphin concentrations following exercise. When endorphin levels are high, this can lead to a decrease in pain perception. One of the benefits of caffeine is its ability to quickly cross the blood brain barrier stimulating the central nervous system quickly. That means if you need a pick-up quickly, whether its for the gym or to get through the afternoon lull, caffeine can start to work within 15 to 30 minutes of consumption and peaks within 1 hour post ingestion. What’s more, caffeine clearance takes 3 to 6 hours, which means it can provide you with hours of extra energy! Caffeine consumption can promote a significant thermogenic response. In fact, one study showed that caffeine consumption at a dose of 100mg resulted in a significant thermogenic effect despite the fact that subjects had a habitual caffeine intake of 100-200 mg per day. The increase in energy expenditure subsequent to caffeine ingestion had not returned to baseline 3 hours post-consumption. Caffeine also has a synergistic effect when combined with other fat burning supplements such as green tea or synephrine. Caffeine blocks a key enzyme involved in degradation of norepinephrine—a fat burning hormone that gets stimulated by green tea and synephrine. Caffeine’s action allows norepinephrine levels to remain elevated for longer periods. Combine 200 mg of caffeine with 200 mg of Green Tea Extract with a 50% EGCG content. Caffeine is a natural stimulant that can increase the amount of adrenaline in the blood, resulting in increased levels of energy and improved alertness. It can also block adenosine, the neurotransmitter that slows down nerves and signals sleep, further resulting in enhanced energy! Additionally, it also increases levels of serotonin and dopamine, which can make us feel happy and relaxed! The most popular form of caffeine is no doubt found as coffee, but if you are not a fan of coffee, you can also find as much as 60 to 80 mg per cup of black, green or oolong tea. Caffeine is also found naturally in dark cocoa (up to 30 mg per serving), guarana and yerba mate. As a supplement, caffeine can be found on its own in pill format, within pre-workouts and fat burners. Caffeine is also the main ingredient in most energy drinks. Although caffeine has numerous benefits, too much of anything is never good! A caffeine dose of up to 400 mg per day or roughly 4 cups of coffee is considered safe for most healthy adults. Caffeine doses of higher than 400 mg per day can lead to insomnia, nervousness, restlessness, irritability, stomach upset, increased heart rate and muscle tremors or jitteriness. That being said, some individuals are less sensitive to the effects of caffeine than others. Sensitivity is based on how regularly you consume caffeinated products or supplements, your age, weight, use of other supplements or medication, as well as gender – women are less susceptible than men. Since an individual can become tolerant and insensitive to the effects of caffeine with more and more use, including a reduction in the adrenaline response and the adrenergic receptors which are involved in the fat burning, appetite suppression and focus, caffeine should be cycled every now and again. If you have been a frequent user of caffeine in the form of coffee, fat burners, pre-workouts, or energy drinks, consider cycling off of them for a period of 1 week to help reset receptors. That being said, caffeine is processed quickly and has an extremely short half-life in body. In fact, it only takes about 5 to 7 hours to get rid of a half-dose, which means after 10 to 14 hours, it’s already gone. Just remember if you have been using caffeine for a period of time, going off of it may cause headaches, fatigue, anxiety, loss of focus and performance decreases. Need a quick energizing pick-me-up! Mix up this smoothie for a mocha-caffeinated kick! Place all ingredients into blender and mix until smooth! Not a coffee fan, try a refreshing Green Tea fruit smoothie instead! Enjoy a tropical iced café treat with this smoothie! Astrup A, Toubro S, Cannon S, et al. : Caffeine: A double-blind, placebo-controlled study of its thermogenic, metabolic, and cardiovascular effects in healthy volunteers. Am J Clin Nutr. 1990. 51:759-67. Essig D, Costill DL, Van Handel PJ: Effects of caffeine ingestion on utilisation of muscle glycogen and lipid during leg ergometer exercise. Int J of Sports Med 1980, 1:86-90. Goldstein ER, et al. ISSN position stand: caffeine and performance. JISSN. 2010. 7:5. Lieberman HR, et al. Effects of caffeine, sleep loss and stress on cognitive performance and mood during US Navy SEAL training. Sea-Air-Land. Psychopharmacology. 2002. 164(3): 250-61. Spriet LL, MacLean DA, Dyck DJ, Hultman E, Cederblad G, Graham TE: Caffeine ingestion and muscle metabolism during prolonged exercise in humans. Am J Physiol 1992, 262:E891-8.